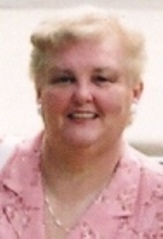 Mary Dineen, age 66, passed away on February 10, 2016. She was born in Yonkers, New York on February 7, 1950 to the late John Dineen and Jean Dineen Texter. She is survived by her mother Jean Dineen Texter, sisters Peggy Dineen Kervella (Tim Kervella), Debra Lauren Dineen (Tom Kilwein), Christine Edwards (Robert Edwards) and Jean Dineen Heichemer. She also leaves behind numerous nieces, nephews, great nieces, great nephews and loving relatives. Mary lit up the room wherever she went, from the grocery store to the Bingo Hall, makingfriends all along the way. We will not soon forget her love of life, her love for the Broncos and her beloved Firebirds. An innocent soul taken too soon who will surely brighten up the days for all of the lucky souls she will meet in heaven. Mary was loved by many and will be missed by all.